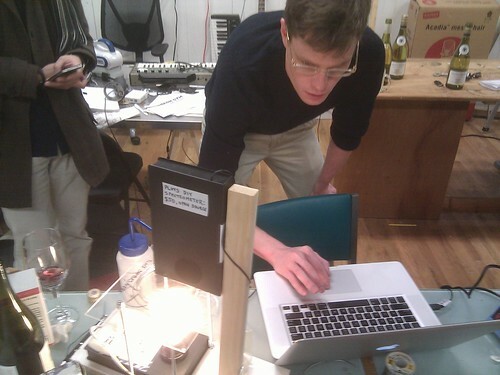 Adam brought a number of wines which we measured in one of our DIY spectrometers, and tasted, too. 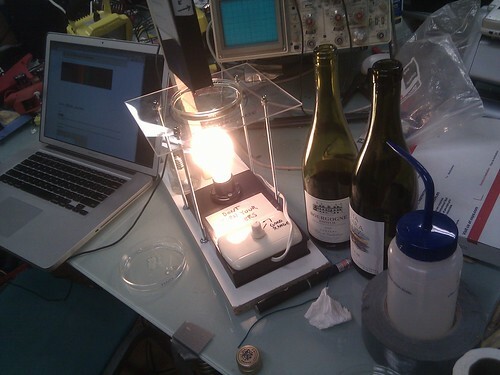 He described the background of each wine and its place of origin, and we spent some time discussing how to improve readings and sample prep for this early stage prototype instrument. Super interesting--what was the control? Was the result with pino noir repeatable? It seems like the most clearly different to me? It might be nice to see the results in one diagram--because it's hard to remember the difference from screen to screen? 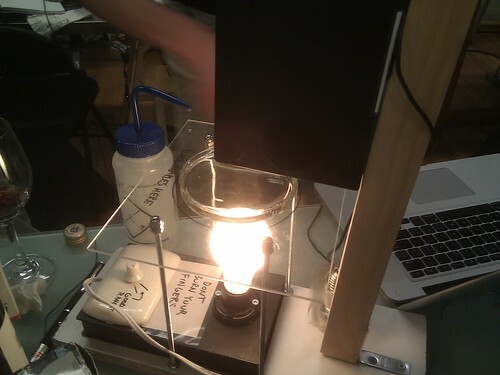 Control was just an empty pyrex petri dish. Yeah - a long way to go on the online interpretation tool - we're hoping to allow people to make "sets" they can view together, with color coded graphs. Soon! Interesting project. Try to analyze the reservatrol content in wine. It absorbs at ca. 330nm and was claimed to be responsible for "French paradox". Hi, Borys - i'd love to learn more; have you considered joining the Public Lab mailing list? So at this time, I think 330 nm is out of the range of our tool; i'm only sure of 400+ nm. But with different optics, like maybe a pinhole instead of a lens, i think 330 could be possible... we'd have to do some tests.